They rule our homes, roam our office halls and generally keep us good company as we dream up new innovations for home and lifestyle. We talk about them like they are our children and dress them up like they are fashionistas. They’re the dogs of Microdry, our best friends and, as it turns out, our best inspiration for new product development. 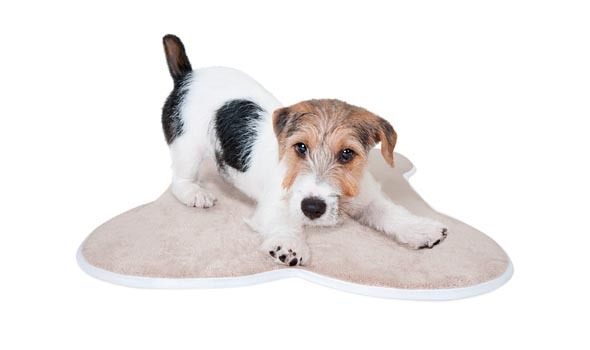 When we first created our Ultimate Luxury Memory Foam Bath Mat, not only did humans snap them up at an astonishing pace but so did our dogs. Fritzi lay on one beneath Jill’s desk. Buddy took to sleeping on one in the corner of Iain’s corner office. At home, we were stepping out of our showers and almost on to our dogs. The same was happening to our pet-owning consumers too. Clearly, all our furry friends were telling us something. So, in 2010, we created the Ultimate Luxury Memory Foam Pet Mat. Our dogs were happy, but they begged for more innovative gear. That’s when Microdry Pets was born. To treat our four-legged friends to best-of-breed products that combine smart design and innovative technology.